This is perfect for a fast, quick meal, and you only have to use one pot! 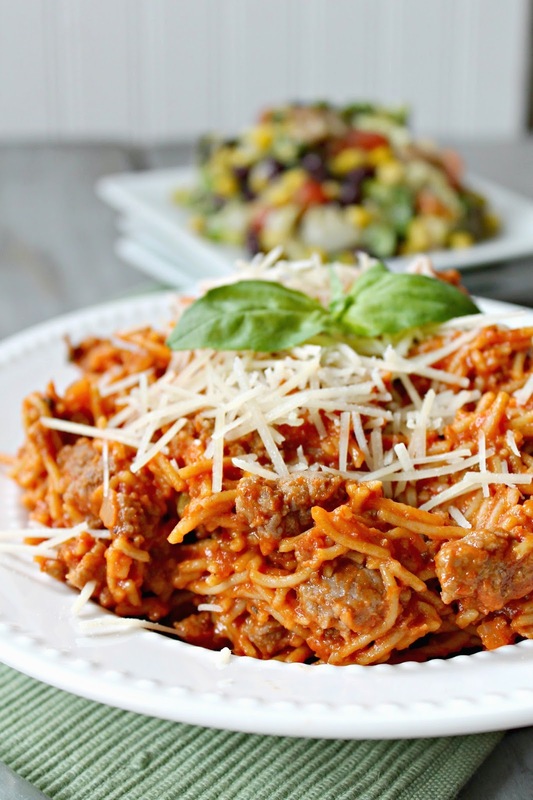 To make it a little more healthy, add lean ground sausage, whole wheat noodles, and add only a little cheese on top. Hope you love it as much as we did! In 8-quart stockpot, cook sausage until no longer pink; drain. Add spaghetti, tomatoes, broth, milk and pepper flakes; heat to boiling. Boil 15 to 20 minutes, turning pasta frequently with tongs or fork, until pasta is cooked. Serve with remaining ingredients.